Did you ever spend weeks and months in shaping a piece of content which according to you could earn tens and hundreds of high authority links? Once you hit on ‘Publish’, you spend hours on marketing the content only to see that there are 0 root domains and 0 total links. Didn’t you then feel that all the SEO guides have informed you that you need to publish good quality content to keep links rolling in? The truth is that there are too many marketing campaigns which fail due to some of the most common content marketing mistakes. Luckily enough, if you have enough knowledge on the content marketing mistakes that can pour water onto your marketing campaign, you will be able to steer clear of making the errors and thereby achieve success with your content marketing campaign. So, let’s take a look at the few mistakes you should definitely avoid. There is an unfortunate reality which majority of the content marketing campaigns fail to lure links simply because their ideas are not unique and new. Publishers will never want to share the same thing week after week with their audiences. In case you’re just adopting ideas which are already used by your competitors, there is a faint chance that your marketing campaign will succeed. There are many who think that promotion is everything but as long as content marketing is concerned, you can’t deny the fact that if you build it, they will definitely come. One of the most vital unwritten rules of content marketing is to avoid self-promotion. If you wish to advertise or promote on a particular site, go and place your ad but content marketing is not about advertising. If you’re creating visuals like infographics, make sure you resist the urge to design to your brand guidelines. This becomes even more important while dealing with top media which generate a considerable proportion of revenue through selling advertising space. All content is not designed to earn links and hence it is vital to understand that from the first day that your content has to be linkable. Create such content which attracts relevant search engine traffic from the target audience and generate links to website to improve search visibility and rankings. Gain authority and traction in the space and increase brand presence through the social media. Although it is true that each piece of content doesn’t meet all the aforementioned objectives but it would be tough to create something which abides by all the boxes without compromising on any one of them. If there are infographics or videos or GIFs or research material or expert roundups, case studies or expert interviews, this content will definitely attract the largest target audience. It is always well and good when you have the greatest idea and when you take enough time to produce faultless piece of content, when you can compete with media hooks and when you have too many stories which can be spun in case no one knows about it. Sadly enough, there are times when the right people fail to know that you have published your content and hence they don’t get the chance to share it on social media. 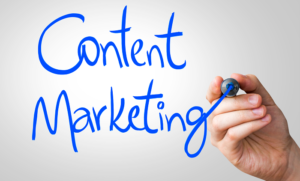 So, if you have a rock-solid content promotion strategy, you can master your target audience. Therefore, if you’re someone who has never been satisfied with your content marketing results, you have to check whether or not you’re committing any of the above listed mistakes. Rectify them as soon as possible to get best results.